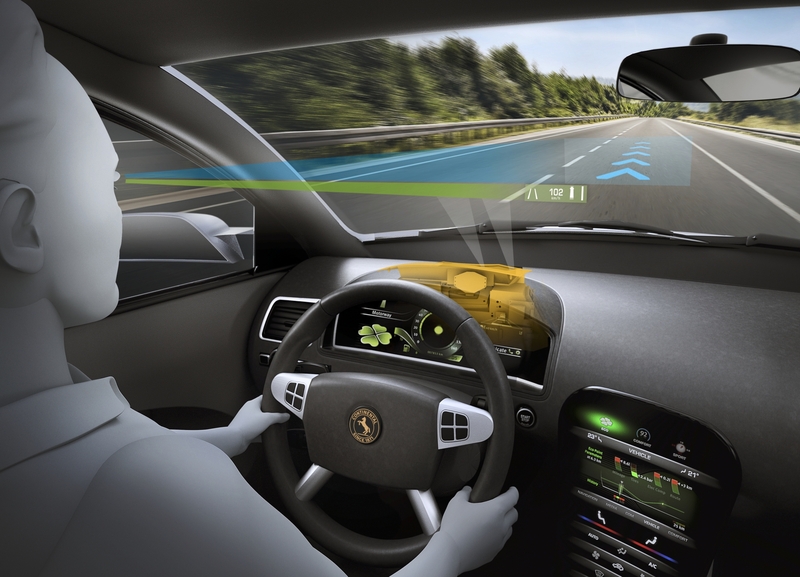 After completing the acquisition of Elektrobit (EB) this summer, Continental recently announced that not only would EB continue to operate as a standalone company, but that it will also be taking over development of a new automotive augmented reality platform intended to ease the transition from semi- to fully autonomous driving. In this Q&A with Manuela Papadopol, Global Marketing Director at Elektrobit, she explains how the connected car is increasing the importance of automotive software and creating new possibilities in the field of driver assistance technology. What’s your take on the connected car, and what trends is it advancing trends in automotive electronics? Everybody’s been talking about the connected car, whether it’s a carmaker or Tier 1 suppliers or software companies like Microsoft or Apple or Google. We’ve been talking about connected cars since 2005, and if you ask each different company, they each have a different definition of what the “connected car” is. For Elektrobit, a connected car is a sensor. The connected car is an addition to your life that is capturing data, that learns about your behavior, and that gives you the right information, be it maps, or traffic, or weather conditions. The connected car also means a venue for bringing new technology that allows more comfortable driving in urban situations, like automated driving. For carmakers, the connected car means a way of differentiation and bringing new branded experiences into the market. The fastest growing field in all of automotive electronics is definitely driver assistance, and that’s driving increased demand for both performance and safety. This is why we see all of these semiconductor manufacturers building new hardware platforms dedicated to ADAS; this is why we see NVIDIA building the Drive PX platform; and also why you see Elektrobit building up more advanced software technology with various functionality like lane change or departure warning systems, very smart adaptive cruise control, or automated valet parking. We will see much more of this technology evolving in vehicles in the next five-to-ten years with semi-autonomous driving moving towards fully autonomous driving in 20 years. And more sensors in the car will allow capturing data from other vehicles, but also sending that information back to the cloud so that other fleets or the infrastructure will be updated with the information captured from the vehicle. By more sensors, do you mean more sensors or smarter sensors, and how does this impact the role of automotive software? One example is something that we do from an operating system perspective in AUTOSAR, the standard for ECUs. We are the first company to develop a multicore operating system for an ECU, and we’ve introduced that concept of an ECU sharing functionality between the infotainment and driver assistance systems. So we are going to see smarter sensors and smarter ECUs, but we’re also going see the price of these sensors, cameras, radar, and lidar going down. Lidar was one of the most expensive pieces of hardware a few years ago, but that’s not going to be the case in the coming years. The differentiating factor will be in software. The content that you bring into those pieces of hardware is what will matter. The complexity of updating, maintaining, and deploying it across all of your vehicles worldwide will lie in software. We’re also going to see a smaller footprint when it comes to hardware. The Audi piloted car has a trunk full of computers. We see that also in the Google car with $100,000-plus worth of hardware in the car, which is not realistic when you’re doing your daily commute. So, what we’re going to see much more of in the future is hardware companies designing smarter hardware and working more closely with software companies to bring this concept of hardware and software together for carmakers so it doesn’t interfere with the weight of the car or the cost of the car or the ability to update over time. This is something that we at Elektrobit have been looking at very seriously, and also the reason we partnered with NVIDIA. NVIDIA’s Drive PX is a hardware platform that allows carmakers to build smart software solutions for autonomous driving. Elektrobit is bringing the AUTOSAR knowledge, the ISO 26262 certification, and the safety and security software for this platform, and NVIDIA is bringing the super-slick hardware with two Tegra cores and deep learning technology so carmakers can start looking at developing autonomous driving functionality in the next seven years, much faster, much easier, and in a much smaller footprint. What can you tell us about the recent acquisition of EB by Continental? Because of the role of software, there is increasing importance of a knowledgeable company that understands not just the infotainment piece, the navigation, and the human-machine interface (HMI), but that understands also how driver assistance impacts navigation and the other way around, how a car becomes a sensor, how a car looks at all of the ECUs. That’s something that Elektrobit has been developing for more than 25 years, from under the hood all the way up to the cloud. You’ve seen in the past three years a big trend of carmakers acquiring software companies, with a good example being Ford acquiring Livio. Another good example is HARMAN acquiring Red Bend Software and Symphony Teleca, or different Tier 1 suppliers partnering amongst themselves. All of these point to the importance of hardware, but the fact that software is going to make the difference. Elektrobit and Continental have partnered for a long time in various technologies, whether it was AUTOSAR or navigation or even software engineering. One of the projects we’ve worked on together since 2006 is Ford SYNC, with Elektrobit being the software integrator for all of the software components and Continental being the Tier 1, which turned out to be an exceptional partnership. That moved into Elektrobit providing various software components on Continental hardware for various carmakers. They bought the brand, they acquired the knowledge, the people, everything we have, but we continue to act as a standalone company. Our management at Elektrobit hasn’t changed – we still have our Managing Director and President, our team stays in tact, and what we do is build software. This is what we do best, and this is something Continental values. But we still look at it as a partnership, which is interesting and different from everything else that’s out there. One great example is our Augmented Reality Creator (AR Creator), which is a software piece that Elektrobit is taking over from Continental. We’re going to develop this AR Creator software for the entire automotive industry, whether it’s a carmaker or a Tier 1 supplier that’s a competitor of Continental. The last time I heard much serious talk of augmented reality was in Google Glass, which had mixed results to say the least. So what is the vision of AR for the car? As we start progressing from semi-autonomous driving to fully autonomous driving, we need to look at all of the real estate in the car. So, how do you provide all of the information to the driver or to the vehicle if the car is driving, but also how do you transition between when the car is driving back to the driver or passenger in a very smooth, unobtrusive way? That’s where augmented reality comes into play. So you bring that technology into a heads-up display (HUD) that makes that transition smoother and passes information between what’s happening outside – what the car sees – to what the driver sees or will have to see. There’s going to be a transition between five years from now and ten-to-twenty years from now where we see an evolution of this augmented reality technology. That’s going to be based on different features that are displayed to the occupants of the vehicle, but it’s also going to be dependent on who’s behind the experience, what kind of persona is behind the experience. Is it an early adopter who understands technology and is used to fast information or multi-tasking so that we can project other things to the HUD, or is it a person who is not that knowledgeable about technology so the information has to be less intrusive and comes in steps? It’s going to be very challenging in a driving environment. In gaming it’s one thing. That’s where understanding automotive-grade software and how to build it for the car is very important. I do believe that there has to be a smart transition, and a non-intrusive HMI that is not completely overwhelming to the driver. Who do you see as major players in connected cars and autonomous drivers moving forward? I keep referring to carmakers, but we see Google, we see Uber, we see Apple. Everyone is interested in this. And especially in urban areas where the autonomous car will start shaping up, all of these technology leaders have a big stake. Not just because of volume, but combining that experience, bringing that digital lifestyle across devices, and the car is yet another device. We’ve been talking about this for years, about “software on wheels.” This is it. This is the era of software on wheels. I feel that in the next seven-to-ten years we’re truly going to see software on wheels shaping up much more than in the past, and not only from the carmakers, but all of these other technology companies that are investing in autonomous driving and connected experiences. That’s a big task, and it can only be solved with smart software from companies that build it from the ground up, but also through companies that understand other technologies, like medical or aviation or even new industries that can bring insight into user experiences. That’s going to be very important. 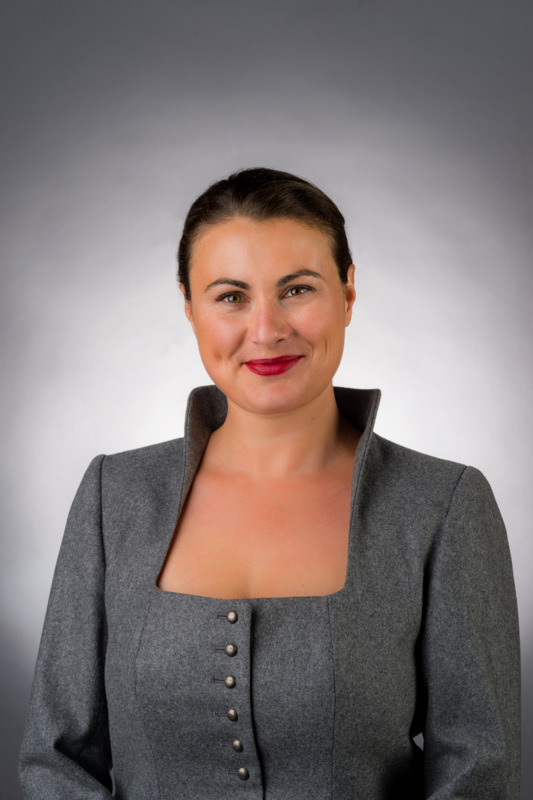 Manuela Papadopol is Global Marketing Director at Elektrobit. She serves as an advisory board member for the Connected Car Expo and holds a patent in voice-activated acquisition of non-local content. Prior to joining EB, Papadopol served as a global marketing manager for automotive programs at Microsoft and as global marketing manager at the Tweddle Group. She began her business career in public relations and marketing at BMW in 1996 moving to Mercedes Benz as a public relations manager in 2000. She holds a degree in communications from the Romanian-American University in Bucharest and a post-graduate degree in public relations from the University of Washington.